After a record-breaking September (104,900 units), one would think that in October the market would take some time to breathe, but that wasn’t the case, with close to 120,000 registrations last month, up 85% YoY, the previous record was beaten by a significant margin (14%). If we extrapolate this growth rate until the end of the year, we would have December peaking at some 155,000 units and the 2018 sales reaching 1 million units. In one year. And to think that 2017 was the first year that plugins reached 1 million sales, GLOBALLY. Woah. With all this continued growth, the PEV share hit another all-time best, ending the month with 5.8%, while the 2018 share rose to 3.6% share, a new record and well above the 2.1% of 2017, with sales expected to continue growing until December, the 2018 PEV share could end North 4%, with December possibly reaching 7%. With symbolic export numbers, the domestic market is more than enough to absorb the current Chinese production, helped by the fact that it is still a protected market and most foreign OEMs still don’t have a real plan to tackle these seismic changes, but with PEV quotas to be fulfilled next year, foreign brands are starting to put an effort, although their share is still stuck at 6%. Of this (small) cake, 2% belong to BMW, the new Best-Selling foreign brand, and 2% to Tesla, with the remaining manufacturers sharing the final 2%. In October, the headlining news were the BAIC EC-Series surging to over 20,000 units, beating everyone’s expectations, while stealing the month top spot from BYD’s Dynamic Duo (Tang and Yuan). #1 – BAIC EC-Series: The little EV is back with a vengeance, with the EC-Series registering a record 20,648 units last month, up 83% YoY, winning its first Best Seller trophy since May. Having beaten the previous all-time best (15,719 units, last November) by a sizeable margin, BAIC’s EV continues to disrupt the Chinese market, reaching a Top 20 position in the mainstream ranking, for the first time. The revised design and improved specs (new 30 kWh battery) allowed the EC-Series to remain a popular choice in the Chinese Mega-Cities, also helped by a competitive price ($25,000, before subsidies). #2 – BYD Tang PHEV: After six months on the market, the second-generation Tang seems to have found its cruise-speed sales rate, at around 6,000 units/month, registering a record 6,037 registrations. Sales should continue strong for BYD’s successful flagship, and new record sales could still be achieved this year, at least until the BEV version of the Tang lands. 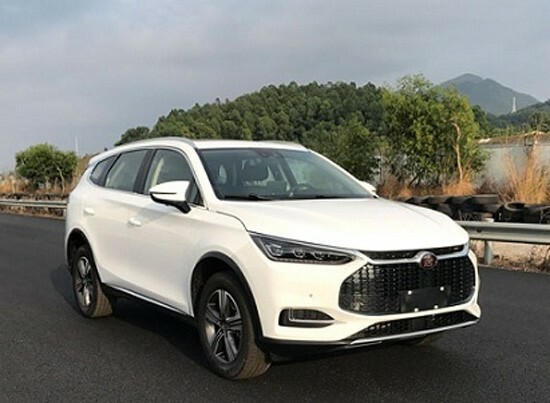 As for the current Tang PHEV specs, BYD’s Sports SUV saw the battery grow to 24 kWh, originating an increased 100 kms range / 62 mi NEDC (around 70 kms / 44 mi real world), while on the power department, things stayed the same, with some 500 hp and 0-100 kms/h in less than 5 secs. All for CNY 279,800 / $40,816. #3 – BYD Yuan EV: We all knew that BYD’s new Baby Crossover was destined for success, and with a record 5,803 deliveries in October in its fifth month on the market, BYD’s new baby is living up to expectations. Will the Yuan be the fiercest competitor next year to the all-conquering BAIC EC-Series? I guess it will depend more on BYD’s ability/willingness to make them in volume, than actual demand, sitting on the vortex of the two fastest selling segments (Compact Crossovers and EVs), and with unrivalled specs (42 kWh battery, 305 kms/190 mi NEDC range, 174 hp motor), and price (25,000 USD), BYD might have found in this new model its star player, crowning what it is already a strong lineup. 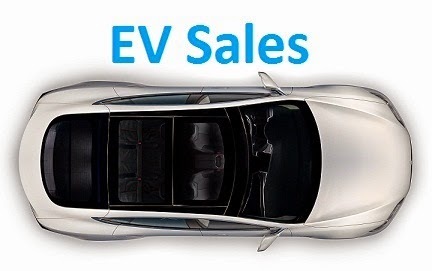 #4 – Hawtai EV160: The automaker bread and butter city EV narrowly escaped the subsidies cut early this Summer, by presenting 5 kms more range (155 kms NEDC) than the subsidy minimum (150 kms), thanks to a 21kWh battery, and sales have reflected this, with sales benefitting from the reduced competition, as the little EV hit a record 5,736 units in October. With basic specs (41hp lawnmower motor…) and design, Hawtai bets on a bargain-basement price (CNY 102,800 / $14,812), in order to allure car-sharing and other fleet buying companies. #5 – Chery eQ: Chery was one of the Chinese brands to bet early in plug-ins, having won the models title three times in a row (2011, ’12, ’13), with its tiny QQ3 EV, now the automaker is trying to regain relevance with the eQ, the spiritual (and material) successor to the QQ3, having registered 5,547 units in last month (new year best), allowing it to collect another Top 5 position. A vehicle marketed to city dwellers, for USD 24,000 before incentives, you get a funky city EV, with the 22.3kWh battery providing just enough range (200 kms / 125 miles NEDC), to cover the needs of the urban jungle (And the subsidies requirements). In a record month, there were plenty of changes, the three most important being the BYD e5 climbing to #4, thanks to a record 4,460 units, the Chery eQ climbing to #6, while the rise and rise of the Hawtai EV160 continues, with the little EV jumping 2 spots to #8. Hawtai EVs are a hot item right now, not only the EV160 hit a record performance (5,736 units) last month, but the #20 xEV compact crossover also performed a record result (2,245 units), confirming the good moment of the brand, that is becoming a sort of Dark Horse, while everyone has its eyes focused on BYD, BAIC, SAIC and Geely, Hawtai does its job off the radar and in October it registered 9,000 units, making it the Third Best Selling EV brand. Will we see it go after BYD and BAIC soon? Another model shining last month was the BAIC EU-Series, that rose 2 positions, to #13. Outside the Top 20, a lot is going on, on the large sedan class, the BMW 530e registered 2,164 units, with the German sedan being not only the bestselling plugin of its category, but also the best performing foreign model, in #22. The Nio ES8 continues with the gradual production ramp up (2,060 registrations last month) and was once again the Best-Selling Luxury SUV last month, with the Tesla Model X delivering in the low hundreds, the new startup model still has a shot at removing Tesla from the yearly category leadership, as it is now less than 2,000 units behind the American Sports-SUV. Another model on the rise is the GAC Trumpchi GE3, that with 1,592 units last month, had its best month in its 17 months career. Is GAC finally stepping up production? Looking at the manufacturers ranking, BYD (20%, up 1%) is a comfortable leader, thanks to the new Tang and Yuan, while the runner-up BAIC (15%, up 2%), is finally profiting from the EC-Series sales infusion to recover share, and in Third Place, the Shanghai-based Roewe (11%) holds the last place of the podium, with a significant advantage over the #4, Chery (6% share). Hi, Jose, how is Nissan Sylphy EV? Any deliveries? Yes, close to 1000. Looking forward to see the next few months, to see how high they reach. 2000? More? Considering the fact that ICE version is one of the most popular cars in the country, it must have a demand for 5K per month. The Nissan Sylphy EV will be in the top 20 in China in 2019. It looks like Nissan is very careful with production volumes. They have a few times miscalculated the market acceptance of their models. The USA Nissan Leaf capacity was planned for 250,000 per year. The Chinese were not willing to buy the Leaf at all. This Sylphy with a Leaf powertrain has a low initial production. But if the market acceptance of this car is great, I have no doubt the production can be increased. I see it as the mix of manual and automatic hear boxes, or petrol and diesel engines. Those option mixes were always adjusted to market demands. BEV are better cars than FFV, so the Sylphy BEV can be a better car than the Sylphy FFV. To sell all the half million Sylphy Nissan is making in 2019 as BEV, it just has to be better with the price premium lower than the quality premium. #1 - It's just pent-up supply and/or demand from it not being available for most of the earlier portion of this year. The number will go back down for November. #2 - It's a stepping stone to even higher production. The number will go even higher for November. #3 - This is just the new normal for it, and it'll be about the same in November. I think, it will be the new normal (more or less) until December, because they still must have some backlog. Expect big numbers until December, as Illia said, they still have a backlog to fill, the real challenge will be 2019, how high will it go then, once the BYD Yuan (finally) gets its production ramp up done, the race between these two will be interesting. As for the Tesla Model 3, do not expect any market disruption until the Chinese production is in full swing, by 2020. Until then, it will be a feat if the Model 3 becomes the best foreign nameplate. Hey Taylor, for $25,000 USD before subsidies I can see the BAIC EC-series doing 10,000 to 15,000 a month on average with some months being outliers. I do not think the model 3 which will be going for $60,000 USD will have much impact on the top selling sedan models. What I believe we will see is it eating up some of the Model S sales numbers and maybe sell between 15k-20k a year in China. 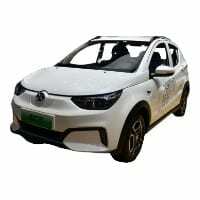 It seems very likely that the Zhidou D2 EV will not be in the top 20 at the end of 2018. Which Plug-In model will then most likely enter the top 20 (instead of the Zhidou D2 EV)? Which Plug-In model is currently at position nr 21? I would say either the #21 Dongfeng Junfeng or the #22 BMW 530e will take the place of the Zhidou. There seems to be a BYD Yuan EV500 in the pipeline for 2019. If you sum 649356 (com. sales by september) and 119401 = 768757. We have only 750937 - > 17820 difference. Well... thanks for approving comment, but i would like to know which figures are exact. Sorry, you are right, due to a mistake in the formula, the 750k number is wrong, the correct number is 778k. Ok. I also check previous numbers and almost each month same issue. Will you update the correct numbers in the table? Just correct it when you will update the table of the top 20 of China when you will add the sales numbers of November 2018. By the way, I think that the BYD Tang EV600 is going to be a popular EV in China in 2019. First of all congrats for the great work and thanks for publishing! Looking at the premium segment I am quite surprised by the BMW 530e sales volumes. What do you think of the Audi e-tron and Jaguar I Pace impact, once launched in China fully in 2020? Might be an interesting mix up with the NIO ES8, Tesla and WM coming in. Interesting to hear your opinion! The new luxury EVs could have an impact in China, but only if they are made in China, just like the BMW 530e is. One thing is certain, with several startups popping up in China and foreign brands finally launching plugins there, it will be interesting to see how things develop. As for the Model 3, i am looking forward to know the impact it has in China, as it is a much more competitive market than in North America and Europe.